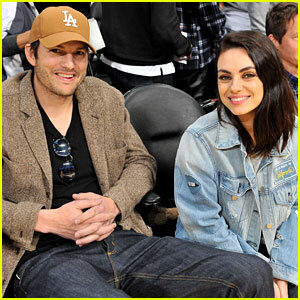 Mila Kunis and Ashton Kutcher pose for a photo together at the Los Angeles Lakers versus the Philadelphia 76ers NBA game at the Staples Center on Tuesday (January 29) in Los Angeles. The celeb couple attended the game just hours after asking fans to text him! That’s right – Ashton posted his phone number and asked fans to get in touch with him. Later, Ashton ended up deleting the tweet with his phone number. FYI: Mila is wearing a B Collection By Bobeau tee. 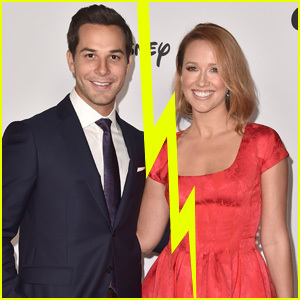 Mila Kunis Nerds Out Over Colton Underwood & Cassie Randolph as 'Ellen' Guest Host - Watch! 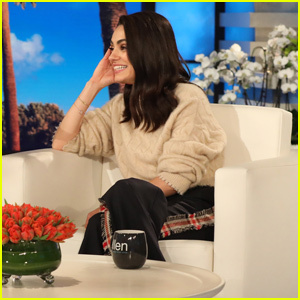 Mila Kunis Takes Over 'The Ellen Show' & Talks PuppyGate - Watch Now! 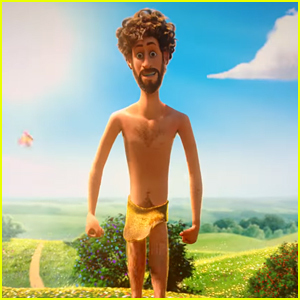 Mila Kunis & Ken Jeong Premiere 'Wonder Park' in L.A.
Mila Kunis Explains Ashton Kutcher's Valentine's Day Fail on 'Ellen' - Watch Here! 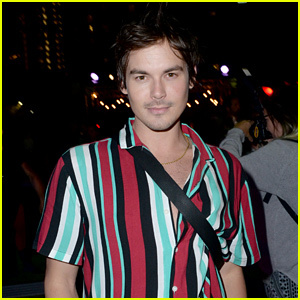 Mila Kunis Picks Up Her Morning Coffee in L.A.
Ashton Kutcher & Mila Kunis Gave Dax Shepard & Kristen Bell the Best Christmas Gift! Mila Kunis Celebrates Prohibition Repeal 85th Anniversary with Jim Beam! 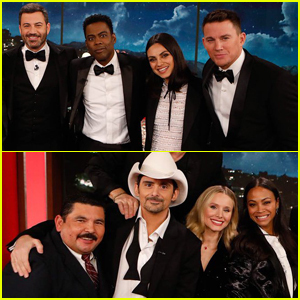 Kristen Bell, Channing Tatum, Mila Kunis & More Take Part in Duet During Kimmel's Star-Studded (RED) Episode! Mila Kunis & Ashton Kutcher Run Errands Separately in L.A.
Mila Kunis Looks Chic on the Red Carpet at People's Choice Awards 2018!